From family activities and school workshops, to behind-the-scenes tours and inspiring public talks we have a wonderful range of activities to inspire and educate. We also offer a fantastic event venue, right in the heart of Woking, Surrey. Themed around wildlife, oceans, freshwater and forests, each zone features fascinating films that bring nature to life. Explore and discover more about each diverse environment and test your knowledge about our world. 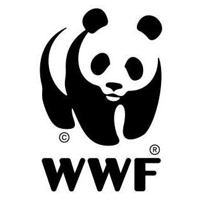 Learn about WWF projects around the world including the personal stories of the people involved. Based in Woking, Surrey, this beautiful, multi award-winning building is at the forefront of sustainable design and construction. Conveniently located 25 minutes from London, and a few minutes’ walk away from Woking station. The Living Planet Centre has everything required to fit your event’s needs; from flexible seating, natural lighting to state of the art AV. There are a range of rooms available to hire; including a spacious auditorium, bright boardroom and various sized meeting rooms. All rooms available at competitive and affordable prices. No matter what event you are planning, this hidden gem is sure to take your breath away.